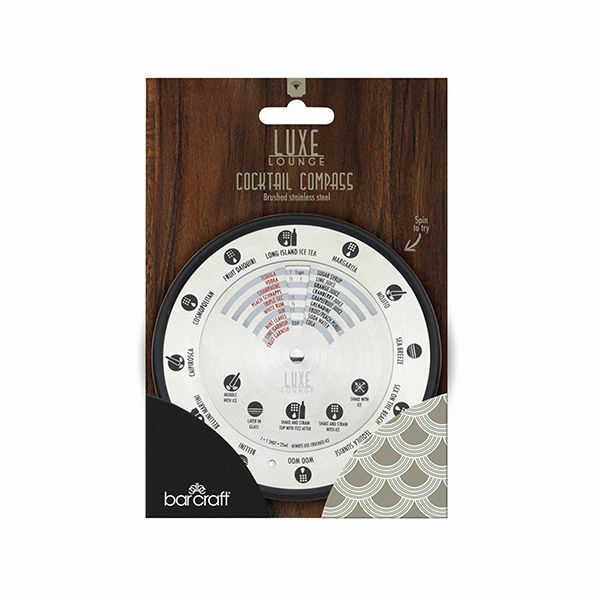 Perfect for use at home, for fun or when entertaining, this cocktail compass reveals 12 different cocktails and the recipe for you to make. 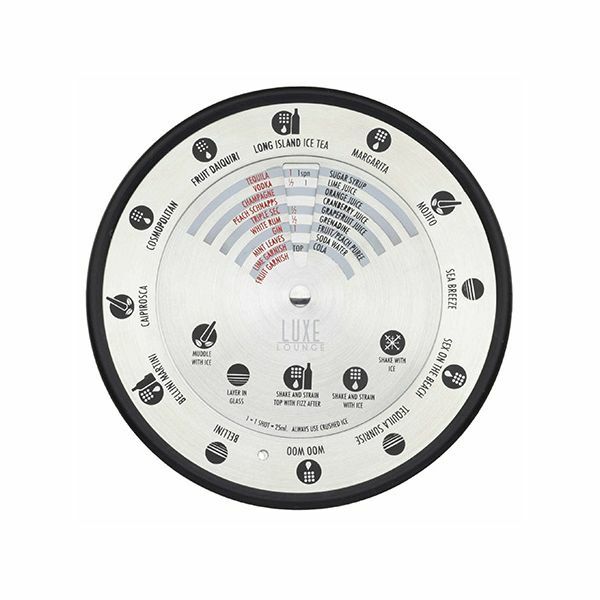 By spinning the wheel you can choose the cocktail you like and the recipe will be revealed. Includes some favourites including Cosmopolitan and Mojito amongst others.